I LOVE these tongs! The latticework cutout helps to drain oil or water when removing food from frying and boiling. 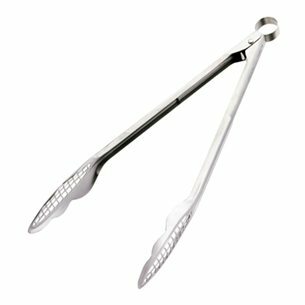 The long handle and narrow tip makes them perfect for use on the grill too!